Moriyama & Teshima Architects is proud to announce that ‘The Arbour’, George Brown College Tall Wood Building is the recipient of the Certificate of First Award in the category of Institutional Concept from the Architecture, Construction & Design Awards 2019! 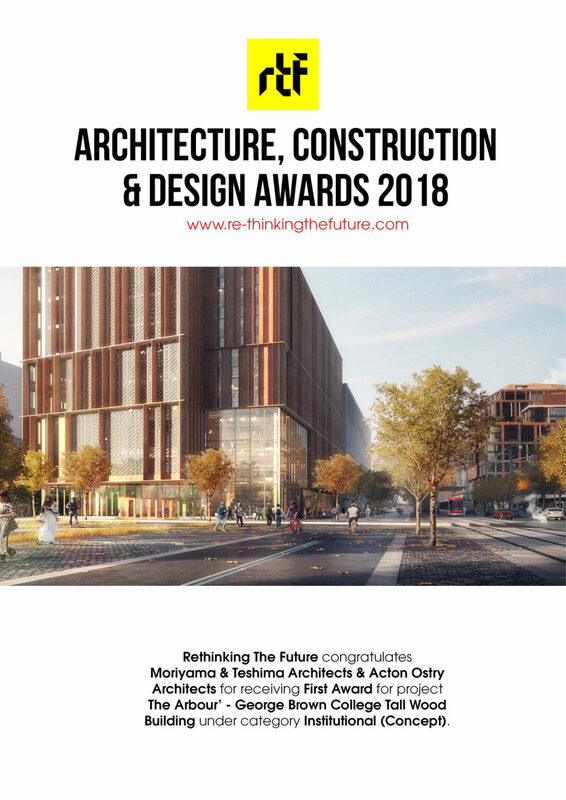 Thank you to Rethinking The Future for this honour, and congratulations to the entire Acton Ostry/MTA design team! To learn more about this award please visit the Rethinking the Future Award website. To learn more about ‘The Arbour’ George Brown College Tall Wood Building please visit the project page.